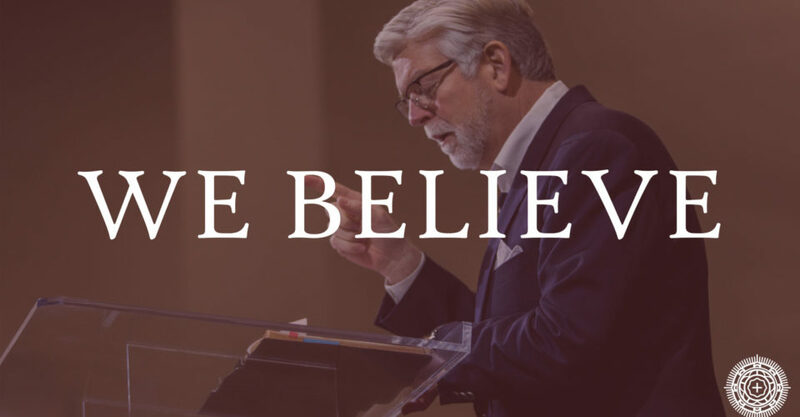 Buck Run Baptist Church > Believe > Who Is Jesus? Who is Jesus Christ? Believe it or not, this is the most important question in the universe. Your answer to this question frames your belief about everything. Not sure about that? Take some time to reflect on what the Bible teaches about the person and work of Jesus. You may be surprised to learn that Jesus’ very existence calls on you to make a choice. And you may be surprised to find that Jesus is the key to understanding life, and a doorway to the deepest love you will ever know. Jesus didn’t start as a baby in a manger. He’s been around since the very beginning. When nothing else was, Jesus was. He was before all things. He is described as being present in the beginning with God and that he actually was God. Jesus is also going to be around after everything else is gone. He is described as the one who was and who is and who is to come. He is called the Alpha and the Omega, or the beginning and the end. He came to earth so that we would know that God is near to us. In fact, one of the names given to Jesus was Emmanuel, which means God with us. While Jesus didn’t start as a baby in a manger, he did come into the world in just that way. The eternal Jesus put on flesh and became a man. He lived in the world along with the rest of us and had all the needs we have. He even experienced all the temptations that we experience. Jesus was like us in every way, except one. He didn’t sin. Every person that has ever lived has broken God’s law. This is called sin. Just one sin is enough to separate us from our perfect God. Our condition is actually far worse than this, because we are born sinful and are naturally slaves of sin. In reality, all people sin because they are sinners. It’s part of who you are. Jesus doesn’t share this sinful condition with us. Instead, he is the perfectly righteous man; the one who has never broken God’s law. Jesus lived a perfectly sinless life so that he could do something no man had ever been able to do before. God is holy (without sin) and man is totally depraved (sinners to the core). Our relationship to each other is impossibly broken, at least from a human perspective. Because we are sinners, there is nothing we can do to repair our broken relationship with God. We are under the just penalty of death because of our sin. Thankfully, what is impossible with man is possible with God. You see, God loved man so much that he sent Jesus, his only son, to die in our place for sin’s penalty. This was the whole reason Jesus came to earth. He offered himself as the perfect sacrifice for sin. He did this by dying on a cross, nails driven through his hands and feet and a crown of thorns pressed upon his head. On the cross, Jesus became sin for you. He gave up his life so that you might have life through him. In this act he redeemed his people from lawlessness. However, because he himself was sinless, death had no claim on him and three days after he was buried he rose again. Because of Jesus’ death and resurrection, mankind can be reconciled to God because the penalty for our sin has been paid. Through Jesus, we can stand before God justified from sin. Jesus can be your redeemer too. You must believe that God raised him from the dead and confess that he is Lord. The Dutch statesman, Abraham Kuyper once said, “There is not a square inch in the whole domain of our human existence over which Christ, who is Sovereign over all, does not cry, Mine!” Jesus, having conquered sin, death, and the grave, now lives forever as the Lord of all things. He has defeated all his enemies and he has absolute authority. There are many people today who believe they have a right relationship with God who do not obey him in their daily lives. They don’t really care to live under the Lordship of Jesus. They want his free gift, but they don’t want to give up their freedom. If this is you, please know that loving Jesus and obeying Jesus are really no different. Jesus even said that if we love him we will certainly obey him. There is no way to be saved and not give everything we have, including all that we are, to Jesus. Really following Christ is a complete and total surrender to his authority and control over us. He has a great plan for each of his people that he will see through to the end. When we truly believe in Jesus, we will be truly submitted to his Lordship. To find out what Jesus does for those who believe in Him, read What Is the Church? If you want to talk to someone about a relationship with Jesus Christ, please let us know.